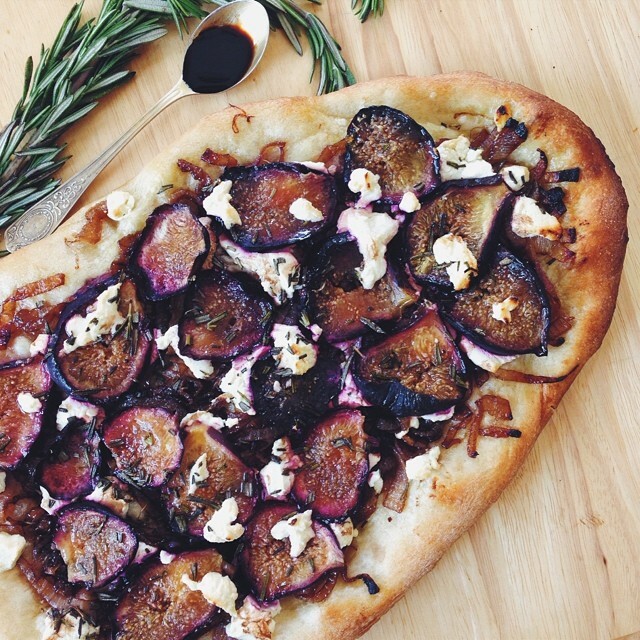 roasted fig pizza with truffled chèvre + balsamic caramelized onion :: the only pizza you should ever eat. i mean it. breakfast, brunch, lunch, or dinner. I can never say no to a good pizza, the kind with a thin crispy base and indulgent toppings. I love the combination of whole figs and goats cheese here. It's a vibrant and sophisticated twist on a classic comfort dish.